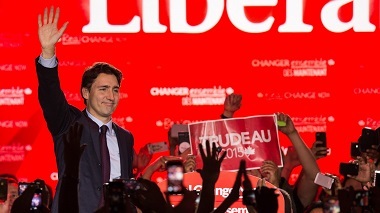 Liberals Announce New Immigration Policies (Audio) - Canada Immigration and Visa Information. Canadian Immigration Services and Free Online Evaluation. Only one week since being formally sworn in, the Canadian government revealed important immigration policy changes and confirming that Syrian refugees will dominate the storyline for the rest of the year. Many of the policies were outlined in our previous writing How the Liberals Can Improve Canada’s Immigration Policies. On refugees, the Liberal government’s senior most cabinet ministers will oversee a committee of nine cabinet ministers chaired by Health Minister Jane Philpott with Heritage Minister Mélanie Joly serving as vice-chair. The committee will oversee the task of bringing in 25,000 Syrian refugees by the end of the year. Immigration and Refugees Minister John McCallum also confirmed the government is working with stakeholders on creating the process for selecting and securing exit permits for refugees. The use of temporary ministerial permits is also being considered. A portion of asylum seekers will be housed on military bases. Ottawa is considering ships, commercial aircraft or military planes. Air Canada will help with transportation before the holiday rush, and ferrying refugees from neighbouring countries. The Liberals pledged that the 25,000 refugees would be sponsored by the government, with taxpayers covering the first-year costs of resettlement. Invest $200 million over this fiscal year and next to increase refugee processing, as well as sponsorship and settlement services capacity in Canada. Provide an immediate $100 million new contribution to the United Nations High Commission for Refugees to support the critical relief activities in the region. Fully restoring the Interim Federal Health Program. Establishing an Expert Human Rights Panel for determination of designated countries of origin and to provide a right to appeal refugee decisions for citizens from such countries. The panel will include representatives from international human rights groups. Ending the practice of appointing individuals without subject matter expertise to the immigration and Refugee Board of Canada. Nearly doubling the budget for family class immigration processing, in order to restore processing times to levels achieved before the Harper decade. Doubling the number of new applications allowed each year, for parents and grandparents, from 5000 to 10,000. Providing greater access to applicants with Canadian siblings, by granting additional points under the Express Entry system. Restoring the maximum age for dependents to 22 instead of 19, allowing Canadians – often live-in caregivers – to bring their children to Canada. Granting immediate permanent residency to new spouses entering Canada, rather than imposing a two year conditional status that puts spouses – often women – in a position of extreme vulnerability. Repeal of the unfair elements of Bill C-24 that create second-class citizens and the provisions that make it more difficult for immigrants to become Canadian citizens. Restoration of temporary residence time credit for foreign students and other temporary residents applying to become Canadian citizens. Conduct a full review of the program to ensure processing times are efficient. Review of Canadian Experience Class to reduce barriers to immigration for international students. Elimination of $1,000 Labour Market Impact Assessment fee for families applying for caregivers. Removal of visa requirement imposed on Mexican and phasing out of visa requirements for several other countries. Work with provincial and territorial governments and the banking industry to improve regulation of the foreign remittance industry and reduce transaction fees. Regulate service providers in the caregiver industry.